Collinsworth told the story of his 1981 SI cover shoot on The MMQB Podcast with Peter King. 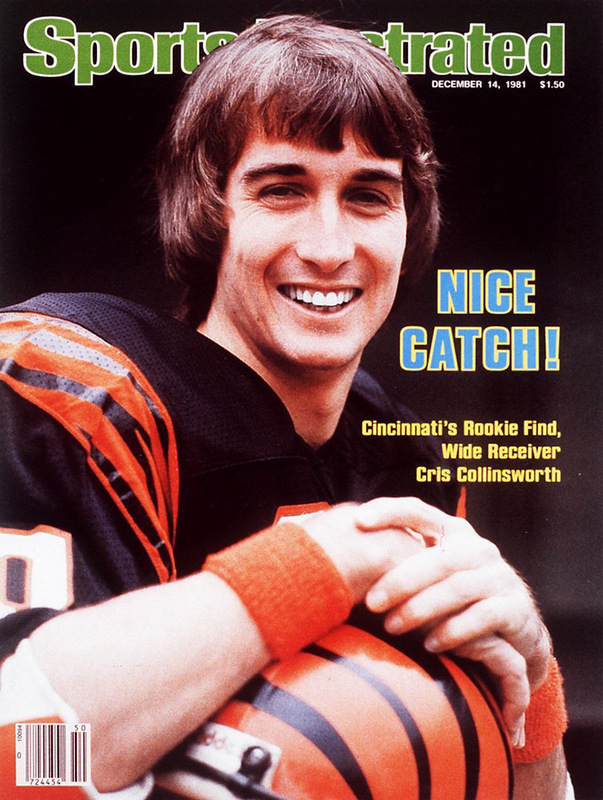 NBC announcer Cris Collinsworth was this week's guest on The MMQB Podcast with Peter King, and Collinsworth told a funny story on the show about his 1981 Sports Illustrated cover shoot when he was a Cincinnati Bengal. "As only can happen to me, I wake up that morning with one of those prom zits. I'm not kidding. It looks a little like Australia on my chin. "I go down there and I go 'listen, I don't want to do this.' I've got Clearsil on it, I've got makeup, I've tried to do everything I can and it just keeps looking worse. It is awful. They say you gotta do it. "So I take this picture. I'm not lying to you—they tell me the cover is out so I got to find it here somewhere. I am literally dreading, I am going to take so much abusive for this massive zit on my chin, I can't stand it. I'm dying. I go down and I have my hand over my eyes, and I look at this cover for the first time. And it looked beautiful. "There's no zit! I couldn't believe it, I said, 'how did they do that?' I had never heard of, like, Photoshop or touching up or anything like that. So to this day, that's one of the great pictures I've taken in my entire life." You can listen to the rest of the podcast here.